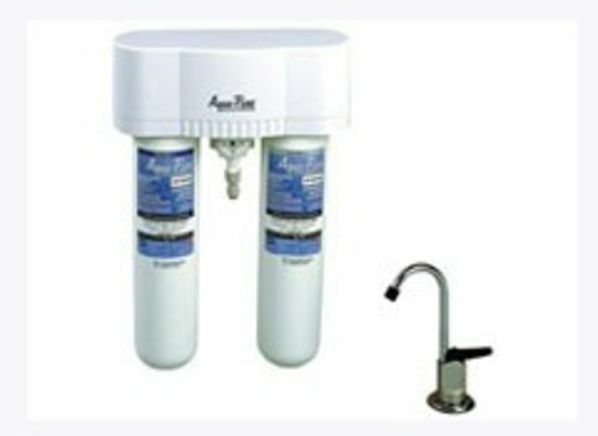 The Aqua-Pure by Cuno AP-DWS1000 is part of the Water filter test program at Consumer Reports. In our lab tests, Water filter models like the by Cuno AP-DWS1000 are rated on multiple criteria, such as those listed below. Lead removal: Lead removal indicates the percentage of lead that was removed by each filter. Chloroform removal: Chloroform removal rates the percentage of chloroform removed. A filter's ability to remove chloroform predicts how well it will remove organic compounds as well as byproducts created by disinfectants used by water systems. Flow rate: Flow rate is how fast a gallon of water filtered through the cartridge. The criteria for flow rate scores differ between different types of filters. Faucet-mount, countertop, and undersink models have the same criterion; carafes and reverse osmosis models each have their own. NSF certified for lead removal NSF certified for lead removal Indicates if a particular model is 3rd party certified to remove lead contaminants. NSF certified for organic contaminants removal NSF certified for organic contaminants removal Indicates if a particular model is 3rd party certified to remove organic contaminants. Filter-life indicator Filter-life indicator Filter-life indicator shows models with this feature.